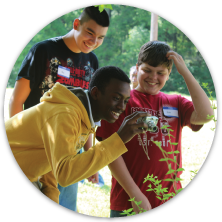 4-H National Youth Science Day is an exciting, interactive learning experience that engages thousands of youth across the country in conducting the National Youth Science Experiment. It’s an excellent opportunity to further engage youth interested in STEM and introduce STEM concepts to youth who have not yet explored them. The 2015 National Youth Science Day Experiment, Motion Commotion, explores the science of physics- how things move through space and time. The activity extends to real-world investigations on reaction time and safety, making connections to the dangers of distracted driving. Students made a person out of clay, put them in a plastic car, and created car crashes. 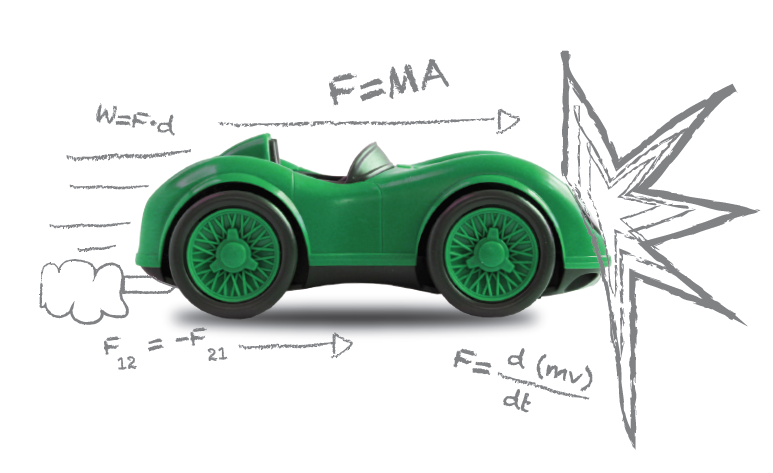 This activity uses physics to teach about the physical factors of motion like speed and stopping distance. Activity 2: We Need More Time! They discovered how human factors, such as reaction time, affect physical factors like your own body’s motion and your ability to feel safe. Each student tested reaction time by catching a ruler that was dropped in their hand. Then they tried to catch the ruler while they were distracted by trying to text a friend. Students discovered that their undistracted reaction time was faster than their reaction time when they were distracted by texting. By putting this knowledge together with their observations of their model car crashes from the first activity, they were able to conclude that distractions can increase the chances of a car accident because a distracted driver’s reactions would be slowed.